A SURGE in economic activity could be in store if recommendations in a report released yesterday to rebuild and convert CQ power stations to incorporate new technology are adopted. The report released by the Mineral Council of Australia (MCA) suggested upgrading the Stanwell and Callide power stations and replacing the aging Gladstone power station to employ High Efficiency Low Emissions (HELE) technology. A number of CQ Coalition politicians have thrown their support behind the report including Senator Matthew Canavan, Capricornia MP Michelle Landry, Flynn MP Ken O'Dowd with State Member for RockhamptonBill Byrne saying the technology is not part of the Queensland Government's vision for a renewable energy driven future. According to the report, electricity sourced from HELE plant was the cheapest option for providing 24/7 base load power that could meet Australia's energy needs and 2030 emissions reduction targets as it made the gradual transition to renewable energy over the coming decades. Costing an estimated $2.2 billion to build a 1000MW power plant, the report claims the use of HELE technology could reduce carbon emissions by up to 50%. The HELE technology works by increasing the amount of energy that can be extracted from a unit of coal, consequently increasing efficiency. The MCA forecast emissions could be reduced by up to 90% if HELE was combined with carbon capture and storage technology. Japan, who has ratified the Paris Climate Agreement and committed to a 26% reduction in carbon dioxide emissions by 2030, is pushing ahead with construction of 45 HELE power-plants. This is good news for our coal exporters with Japan importing $15.5b of Australian coal in 2014 - Australia's exports number one coal consuming country according to Harvard's Atlas of Economic Complexity. Australian Resources Minister, Mr Canavan, welcomed the Minerals Council proposal to upgrade coal-fired power stations in CQ. 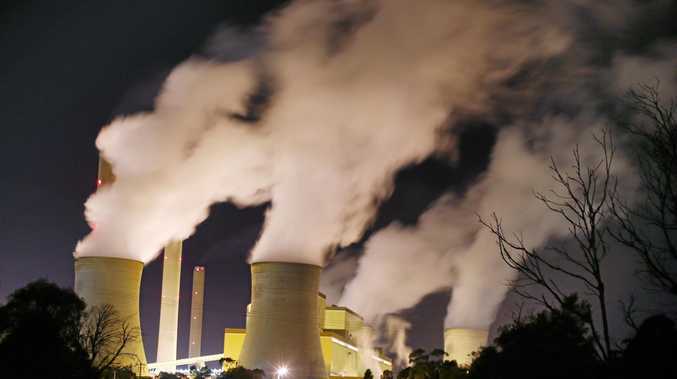 "Other countries in our region are making use of high-efficiency low-emissions coal-fired power to support jobs in their economies," Mr Canavan said. "Often they use the coal Australia exports to run those coal-fired power stations. "It makes no sense for us to export the coal that creates jobs, but rule out using it here in Australia." Capricornia MP Michelle Landry, who has been driving a push for HELE coal-fired power for months, is pleased the debate is moving into the public arena. "Countries like Germany and Denmark who have strong emission reduction agendas have embraced this technology," Ms Landry said. "I have pushed for investment in this technology because it's a no-brainer; it reduces emissions by up to 48% with the technology constantly improving, it captures and stores carbon and most importantly, it is the most cost effective way to produce power. "It is the most practical way to combat spiralling electricity prices while achieving CO2 reduction targets. The continued development of this technology is proof that the investors in coal today will be the innovators of clean energy in the future." Given we have the coal in CQ and a proven track record in electricity generation, Ms Landry said we could create more jobs for the region while saving the rest of the state from crippling power costs. Mr O'Dowd said he wholeheartedly supported the ongoing progression of the coal industry in CQ. "I have visited high-efficiency coal-fired power stations in Japan and have for some time promoted the idea of adopting ultra super-critical technologies here in Central Queensland," he said. "The life expectancy of the Gladstone power station may soon provide opportunity for renewal and I have been forthright in my support for a new, efficient, coal-fired power station in the port city. "We have the coal, we have the salt water, we have the network, we have the opportunity." Mr Byrne said we shouldn't compare Japan's circumstances with our own given they were transitioning away from nuclear energy in the wake of the Fukushima disaster. "Japanese change circumstance, transitional piece, not relevant to us, particular exposure. Grave concerns about viability, can't compare with Japan." He said one the proposed Japanese systems had only a relatively mild reduction in emissions. Mr Byrne acknowledged that although coal would continue to figure in the state's energy mix into the future, the Queensland government had a coherent strategy in place to reach a 50% renewable energy target by 2030 to reduce emissions. "We've got the the best power system in Australia. The age of our generators and the capacity of them are the best placed in the entire country," Mr Byrne said. "We are well positioned to manage a transitional change to greater emphasis on renewables." "Clearly, a great part of the future is about renewables, it's not about coal fired power stations."